The European Commission Action Plan: An assessment of the reform areas for PRI signatories provides an overview of the area of reforms. Action 9 focuses on strengthening sustainability disclosure and accounting rule-making. The Commission is launching a fitness check of EU legislation on public corporate reporting, including the NonFinancial and Diversity Information (NFI) Directive, to assess whether public reporting requirements for listed and non-listed companies are fit for purpose. 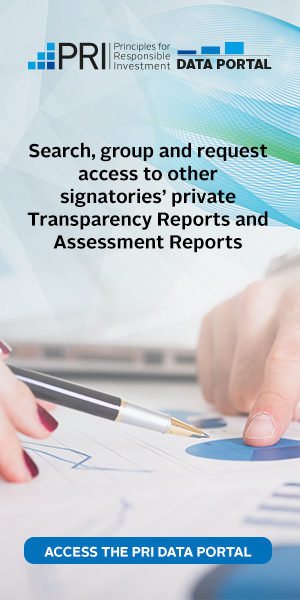 It will include the evaluation of sustainability reporting requirements and the prospects for digitalised reporting. The Commission launched a public consultation on this in early 2018. The conclusions of the fitness check will be published by the second quarter of 2019 and will inform any future legislative proposals to be adopted by the Commission. The Commission’s legislative proposal on clarifying institutional investors and asset managers’ duties (Action 7), has now been published. This impacts Action 9.4, where asset managers and institutional investors would be requested to disclose how they consider sustainability factors in their strategy and investment decision-making process, in particular regarding their exposures to climate change-related risks. In the EU, listed companies are already required to disclose information that investors need to assess sustainability risks. The Commission has published (non-binding) guidelines to help companies disclose this information in a consistent and comparable manner through the Non-Financial Reporting Directive. The first legislative package does not affect financial reporting. However, the European Commission aims to establish a framework that can be used to judge whether the public reporting obligations, including financial and nonfinancial reporting requirements for EU companies, meet their objectives. This was the aim of the EU Fitness Check on the EU Framework for Public Reporting by Companies, which was open for comment until 21 July 2018. The proposals in Action 9 are non-legislative, apart from the links to the proposal on requiring asset managers and institutional investors to disclose how they use ESG factors in Action 7. This webinar introduces the Principles for Responsible Banking. Untangling the chain of stakeholder interests and incentives requires connecting the business objectives of plan sponsors with the growing demand for ESG incorporation by plan beneficiaries, while working within the fiduciary duty requirements of ERISA. The ERISA retirement system brings together distinct stakeholders with diverse incentives and objectives. These range from the plan sponsors to pension consultants to the investment managers, independent advice providers and, ultimately, the plan beneficiaries. Unlike public pension plans, private-sector retirement plans (including both DC and DB plans) must maintain compliance with ERISA regulations, specifically the fiduciary requirements, when selecting investment options.